Quality full vision showcases are great for Restaurant Check-out Counters, Salons, Vaper Stores and More. 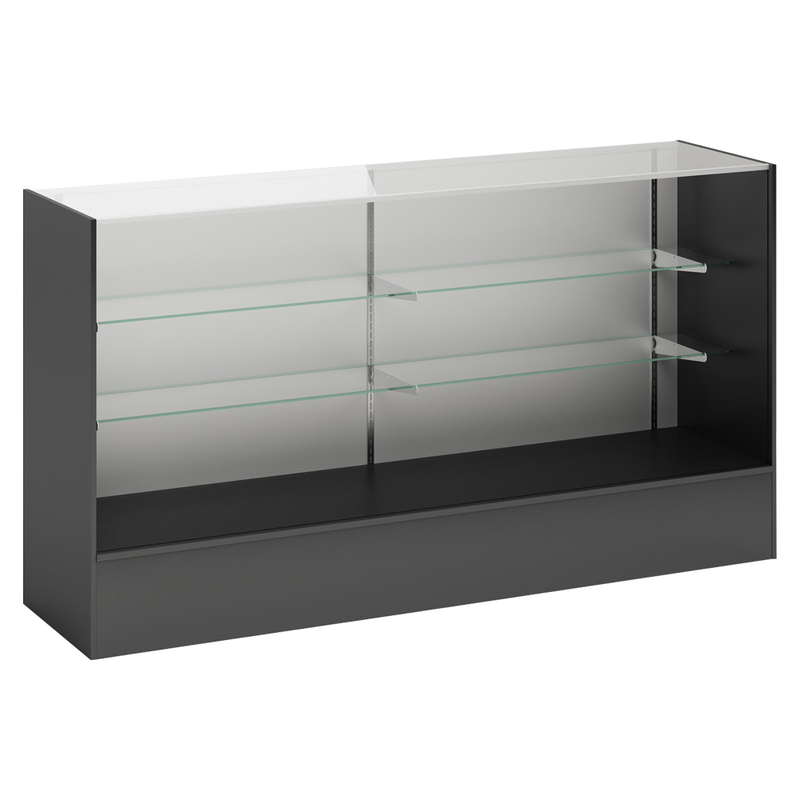 These Full Vision Showcases are fully modular to mix and match to create a functional service counter. Showcase front is enclosed glass with 2 adjustable 3/16 inch glass shelves inside. The shelves are 8 inch and 10 inch deep to be staggered to display more products. The Showcases are shipped knocked down for cheaper shipping cost. Assembly is simple and takes approximately 2 hours or we can assemble for you for an additional $75.00 per unit.